This is one of the best known science fiction films ever filmed, and later this month, you can see it on the big screen, courtesy of Main Street Landing. They’ll be screening the film on Tuesday, January 27th, at 7pm. Admission is free, but seating is first come, first serve. When Stanley Kubrick recruited Arthur C. Clarke to collaborate on “the proverbial intelligent science fiction film,” it’s a safe bet neither the maverick auteur nor the great science fiction writer knew they would virtually redefine the parameters of the cinema experience. A daring experiment in unconventional narrative inspired by Clarke’s short story “The Sentinel,” 2001 is a visual tone poem (barely 40 minutes of dialogue in a 139-minute film) that charts a phenomenal history of human evolution. 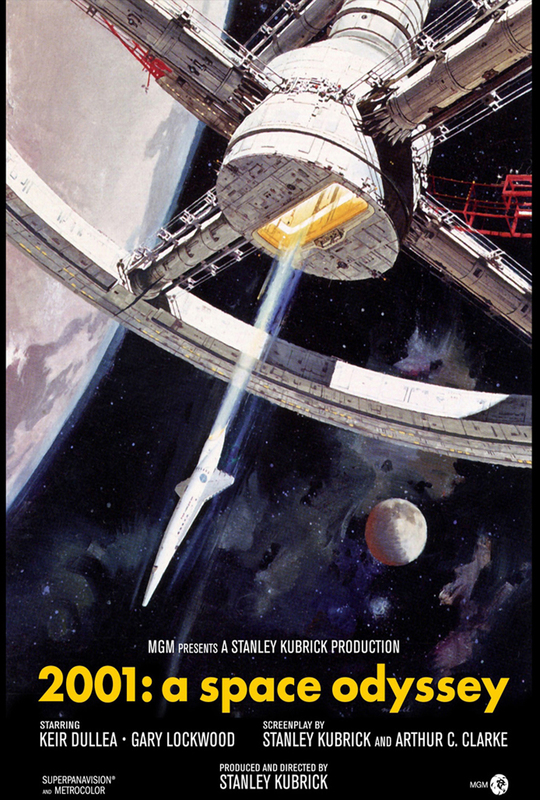 From the dawn-of-man discovery of crude but deadly tools in the film’s opening sequence to the journey of the spaceship Discovery and metaphysical birth of the “star child” at film’s end, Kubrick’s vision is meticulous and precise. In keeping with the director’s underlying theme of dehumanization by technology, the notorious, seemingly omniscient “villain” computer HAL 9000 has more warmth and personality than the human astronauts it supposedly is serving. Last year, I wrote about the creation of the film and novel over on Kirkus Review, if you want some additional background on it. It’s a cool story.